on sale in the Museum. 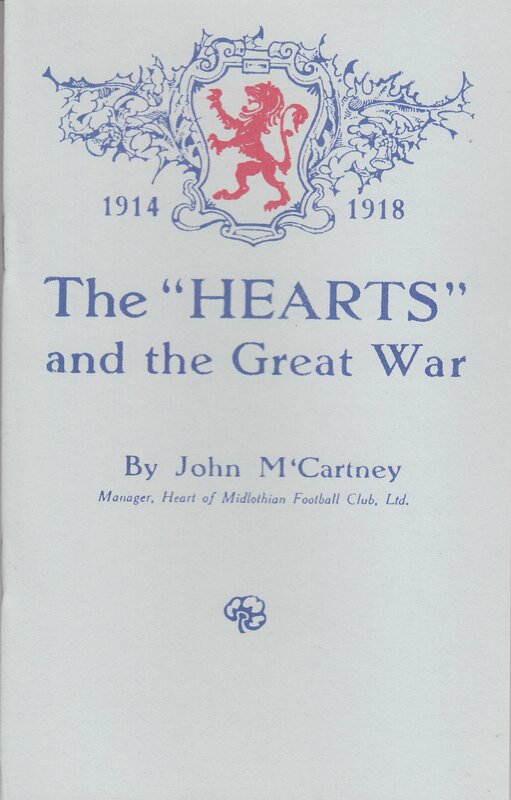 John McCartney was Hearts manager from 1910-19 and he authored two booklets documenting Scottish footballers in the Great War and those from Hearts who perished. The booklets are priced £4 with 50% of proceeds going to McCrae’s Battalion Trust for repairs to the War Memorial in Contalmaison.